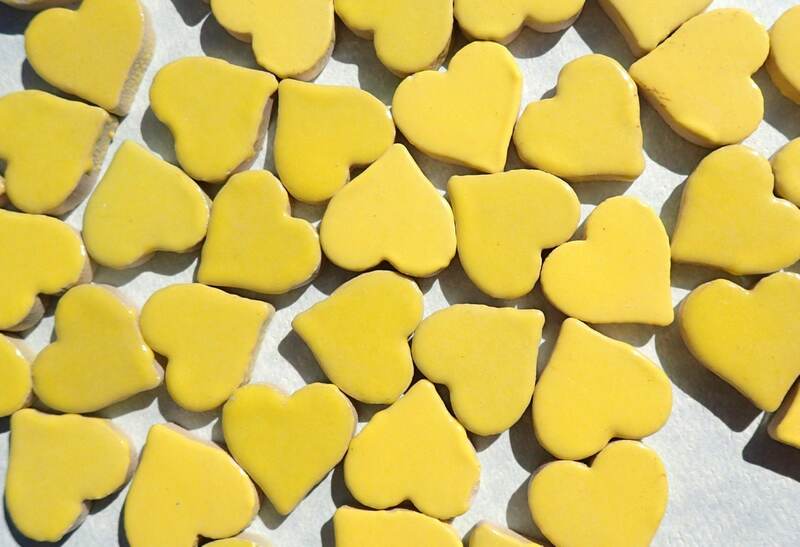 These ceramic heart tiles are approximately 5/8" in length and height and a little over 1/8" in depth (18 mm x 5mm). 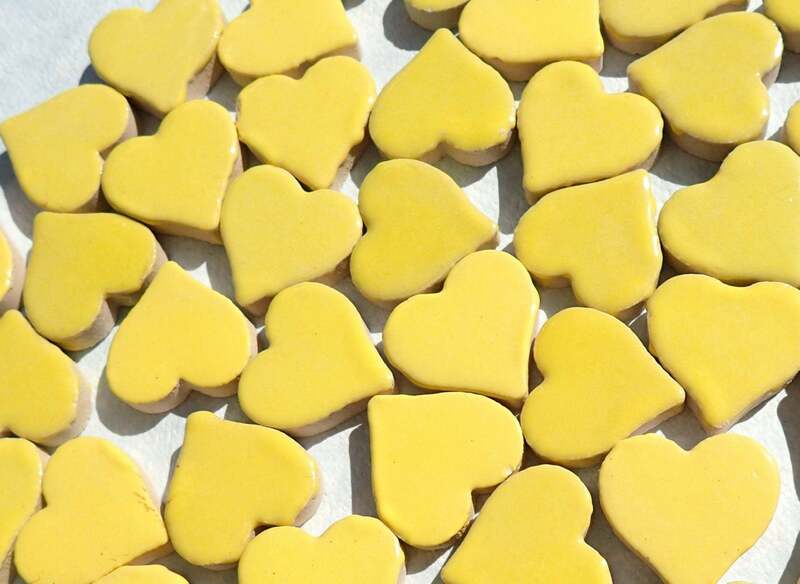 Along with using these as the hearts they are, these work great as border or accent tiles as graphic elements. 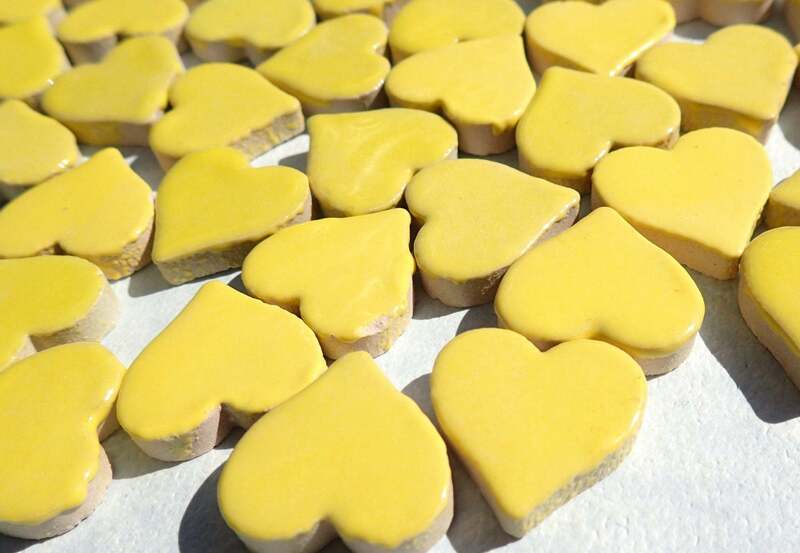 This is a set of 25 hearts. 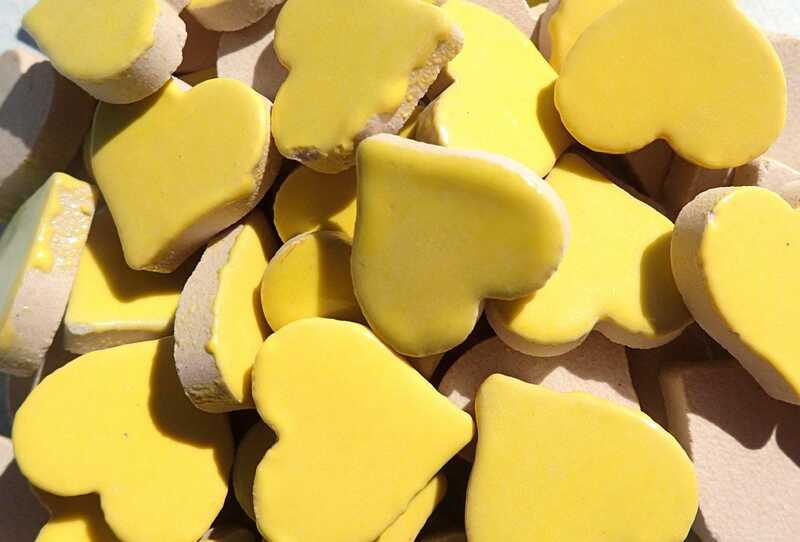 They are a cheerful yellow color. The photo is representative of what you will receive. These are great for mosaic artists! Cute item.. shipped very quickly! 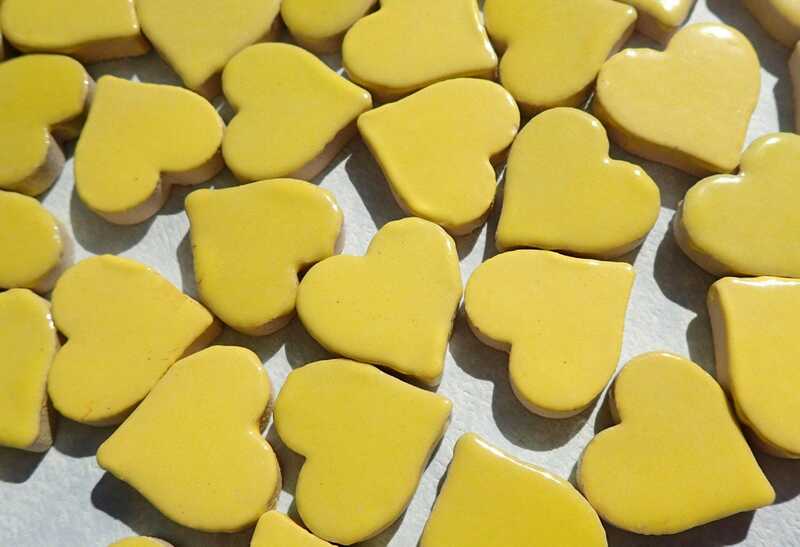 Beautiful yellow tiles thank you!